Bitcoin Press Release: Hong Kong based Bitcoin and Litecoin cloud mining provider ZeusHashhas announced an exciting new partnership with Gridseed and is offering reduced cloud mining prices and giveaways to celebrate Thanksgiving. From Nov. 17th to Nov. 27th which is Thanksgiving Day, ZeusHash are introducing a very attractive promotional price set. 1 to 9.9 Litecoin cloud mining Mh/s can be purchsed for $15.99 per Mh/s, 10-49.9 Mh/s can be bought for $13.99 per Mh/s, 50-399.9 Mh’s can be bought for $12.99, 400-999.9 Mh/s can be purchased for $11.99 while greater than 1 Gh/s can be bought for just $10.99 per Mh/s. Since it’s Thanksgiving, ZeusHash wants to give back to their previous customers. For those who bought any type or amount of Hashrate with ZeusHash before Nov. 17th, 2014 (GMT), during the promotion, they will win free HashBuffs. When previous clients make a new order, a random HashBuff will be allocated to their account and take affect immediately. It applies to customer’s first 3 orders of Mh/s every day during the promotion. Hong Kong based ZeusMiner is one of the largest distributors and retail sellers of Litecoin and Bitcoin ASIC mining hardware worldwide. With datacentres spanning the globe clients worldwide can also cloud mine Bitcoin and Litecoin with ZeusMiner’s in-house cloud mining platform ZeusHash. Having recently announced partnerships with ASICMiner, Rockminer, XBTec last week and now Gridseed – ZeusMiner has also started to work with Bitmain and sell their innovative liquid cooled Antminer C1. 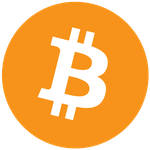 ZeusHash offers reliable, scalable and affordable Bitcoin and Litecoin industry grade cloud mining infrastructure. Moving forward ZeusHash aims for more industry partnerships, continued scaling of mining infrastructure, and many more promotions – to continue to provide industry leading Bitcoin and Litecoin cloud mining.